The story of “A Christmas Carol” was written by British novelist Charles Dickens and published on Dec. 19, 1843. The Victorian story of the grouchy businessman Ebenezer Scrooge and his hard-working assistant Bob Cratchit has entertained people for 175 years this month. The story, which takes place on Christmas Eve when Scrooge is visited by three ghosts of Christmas Past, Christmas Present and Christmas Future, is still read by families worldwide during the holidays, and many movies, television specials and theater productions have also been produced. 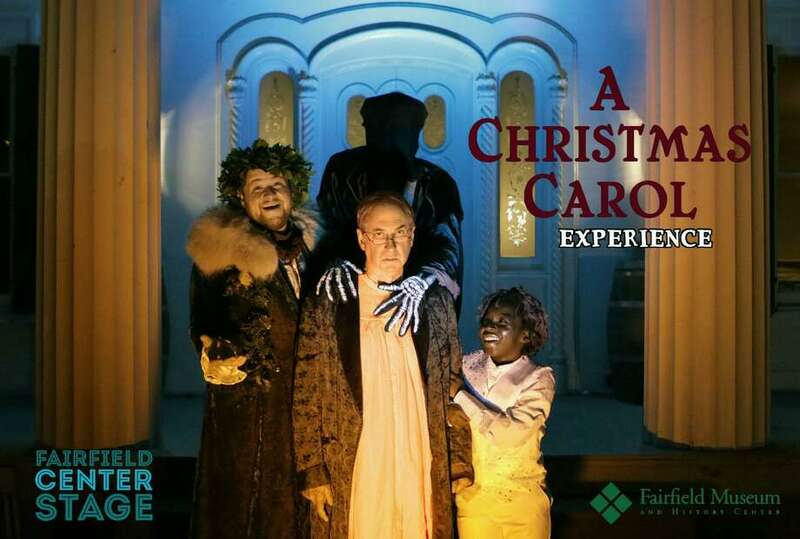 This year, Fairfield Center Stage and the Fairfield Museum & History Center are taking over the Burr Mansion and turning it into an interactive “A Christmas Carol Experience.” Although performances have sold out, there are still two ways to become part of the experience. The first is through a special “Fezziwig’s Party” on Sunday. This weekend, Dec. 9, at 11 a.m., the performers from the show will be at the Fairfield Museum to entertain and engage with families while having a special tea party. The event will include nibbles, stories and crafts such as making a Victorian ornament and a special keepsake book. Tickets are available online at www.fairfieldhistory.org/events/fezziwig3/. The second way to be part of the experience is by attending the Benefit Performance of on Dec. 20 at 8 p.m. — almost exactly 175 years to the day of the publication of the story. Tickets for this exclusive performance include the performance itself, homemade figgy pudding, hot cider (alcohol no extra charge for patrons 21+), a custom “A Christmas Carol Experience” ornament, and a custom digital photo of your party taken in the lobby before the performance. This exclusive fundraiser performance of the show will help support this production in our effort to establish it as an annual tradition for the town. Tickets available at www.fairfieldcenterstage.org/. The Fairfield Museum & History Center and Museum Shop, located at 370 Beach Road, is open seven days a week, 10am-4pm. Members of the Museum and children under 5 are admitted free. For more information, call 203-259-1598 or visit Fairfieldhistory.org. The Fairfield Museum relies on funding from individuals, corporations, and foundations. The year “A Christmas Carol,” by Charles Dickens, was published.